The main characters in a forthcoming book are familiar characters from Rogue One. 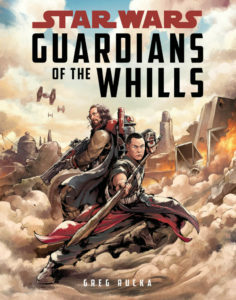 The new book, Guardians of the Whills, a middle-grade novel written by Greg Rucka, follows Chirrut Îmwe and Baze Malbus after the Empire’s takeover of Jedha and the arrival of Saw Gerrera. Coming out on May 2nd, the book takes place in the months leading up to the events in Rogue One. Chirrut Îmwe was not a Jedi. He was not, by any definition, a Force user. But what he could do, what he had spent years upon years striving for the enlightenment to do, was – sometimes – feel the Force around him. Truly, genuinely feel it, if only for a moment, if only tenuously, like holding his palm up to catch the desert sand that blew into the city at dawn and at dusk. Be, however fleetingly, one with the Force. Then it would slip away, that sand between his fingers again, and he would be left as he had been before. But not entirely. As if a memory lingered. As if the echo-box he wore had been somehow tuned, had opened his senses that much further. The suffering was everywhere; less for some, greater for others, but touching in some way, in some fashion, all who lived on Jedha. It made Baze, who had nursed an anger all his own for so long, even angrier. “You were worried about me,” Baze said. I get the sense from this brief comment of Baze’s that inasmuch as he is cynical and not as spiritual as Chirrut, he kind of needs him there to serve as his articulation of such concerns. The concern is that, otherwise, perhaps Baze might have to articulate them, himself. 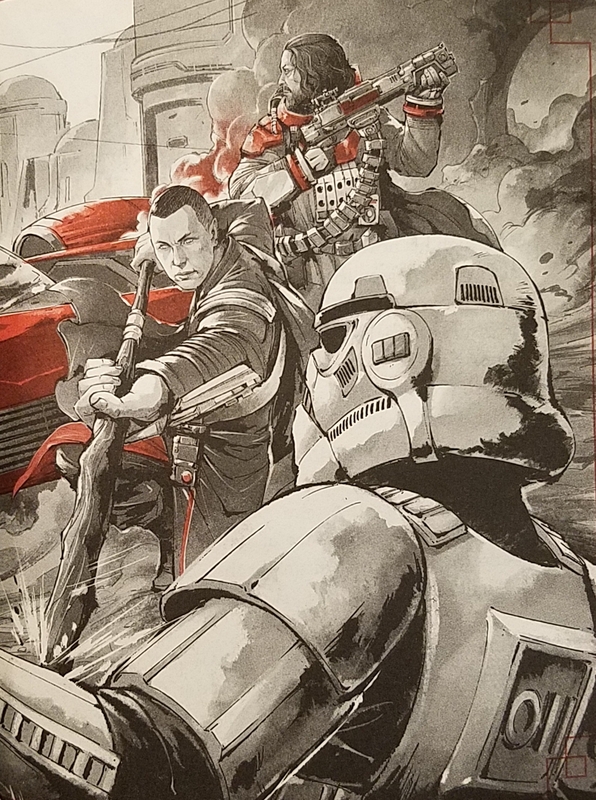 However, it seems safer for his own sanity to externalize that level of concern and sensitivity, leaving it for Chirrut to serve as a foil for him. 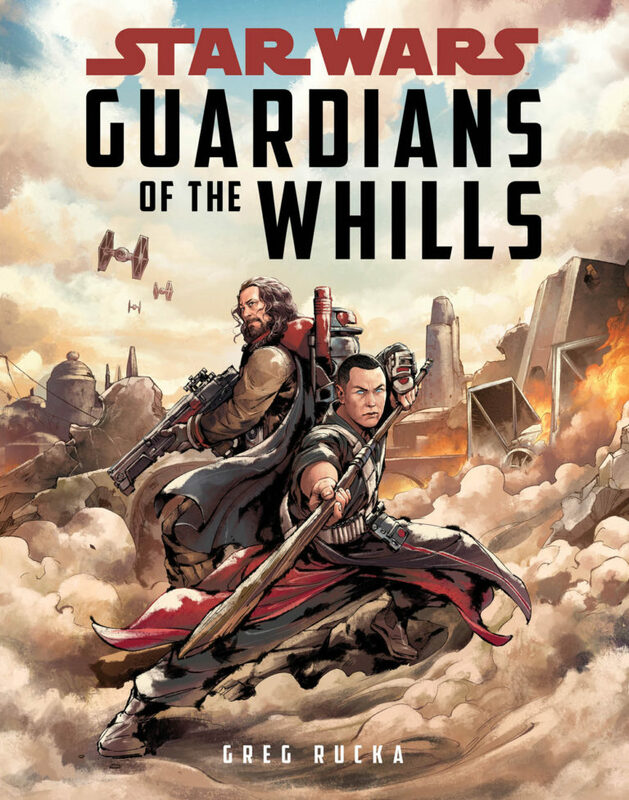 To read more about Chirrut Îmwe, Baze Malbus, and more, check for Guardians of the Whills on bookshelves on May 2nd. *Pagination reflects that of the 2017 Disney/Lucasfilm Press hardcover version. A copy of this book was provided to the author for review purposes.